Located about 1.5 hours south of Phoenix, this Southwest golf mecca is nestled deep within the desert framed by the majestic Catalina Mountains. Tucson offers a variety of top quality golf resorts and an endless array of top courses designed by some of golf's most well known golf course architects. And with fabulous year round weather and sunshine, and more reasonable rates compared to Scottsdale - Tucson is a fabulous desert golf vacation destination. 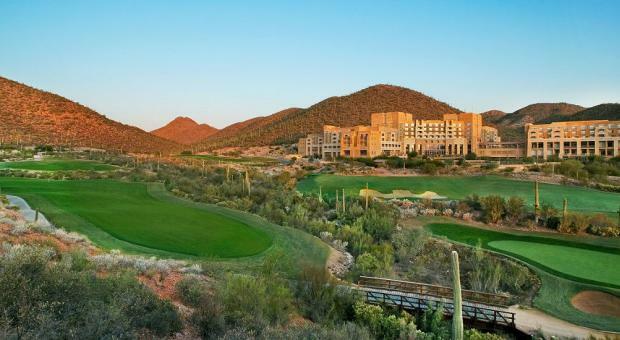 Choose from a list of Tucson Golf Resorts, and if you don't see a hotel on the list we most likely have it in our inventory.